So tomorrow night we’ll be visited by trick-or-treaters. Or we better be after the effort we went to tonight to make scary cookies for them! 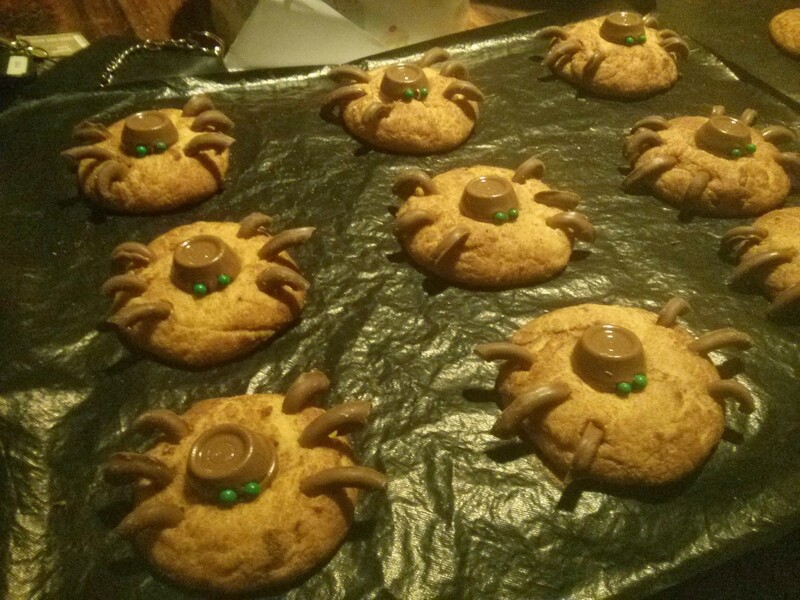 So inspired by these peanut butter blossom spiders, I decided to make my own version (without nuts… after what I learned about trying to give kids nuts :S). 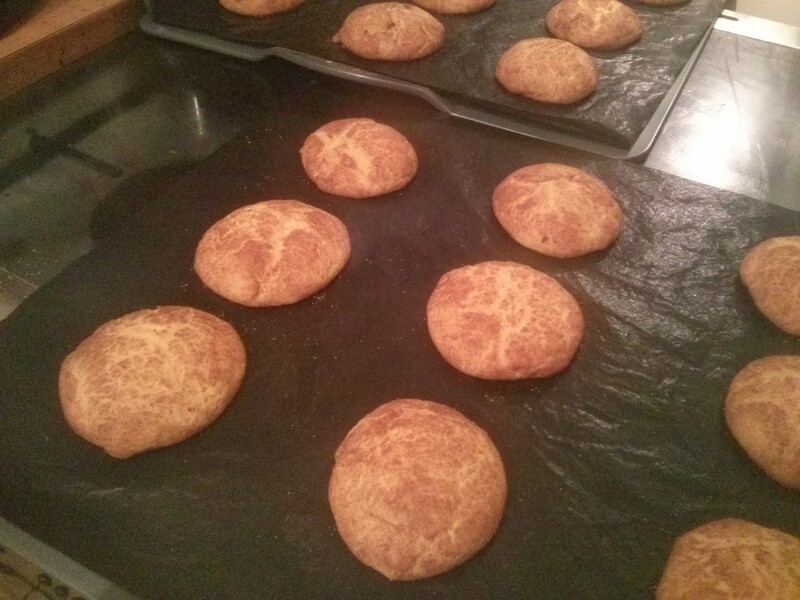 Now I’m not actually familiar with snickerdoodles, but I’ve heard lots about them on American TV shows. As trick-or-treating is very American… what better time to try them! 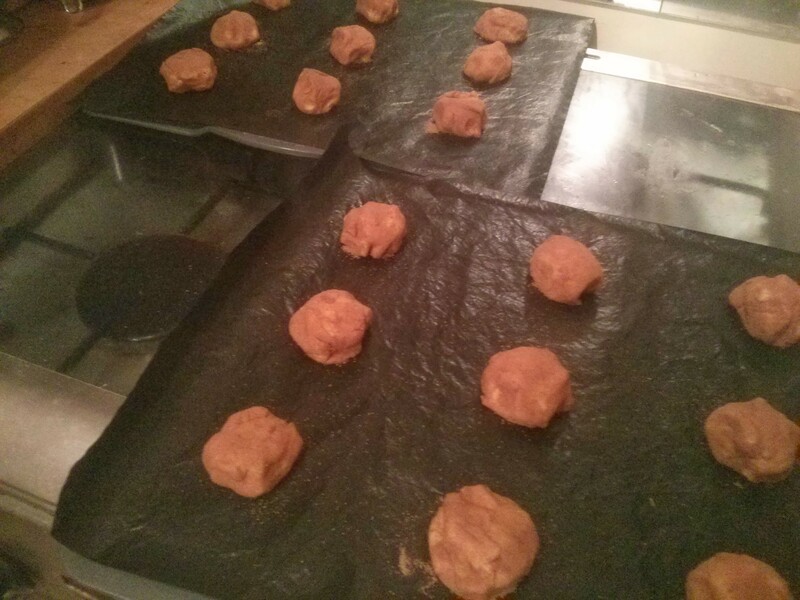 I was going to use a pumpkin spice mix from this post instead of just cinnamon for rolling… but I forgot! Anyway… you basically make like a cake. 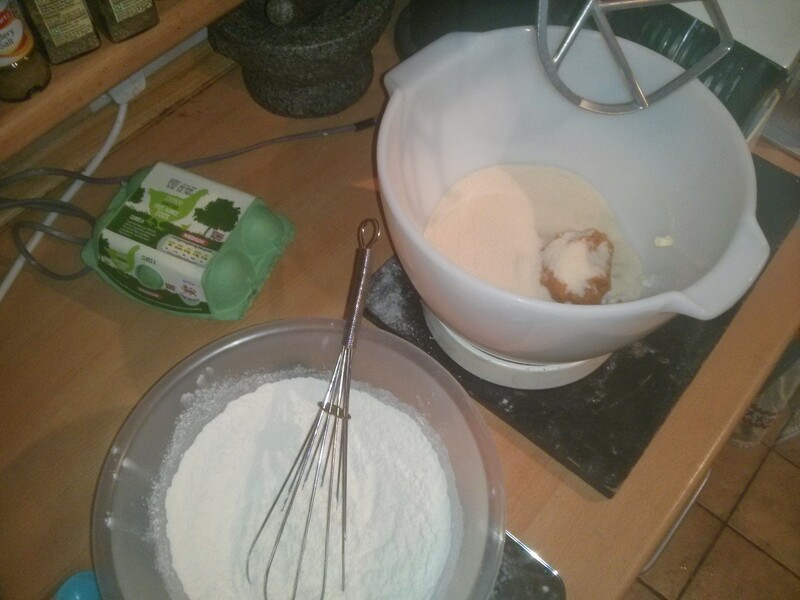 Mix dry ingredients, cream the sugar, fats and pumpkin pureé, then add the eggs before mixing in the dry mix. This gives a very stick, cakey mixture which I was tempted to add more flour to, but I resisted! 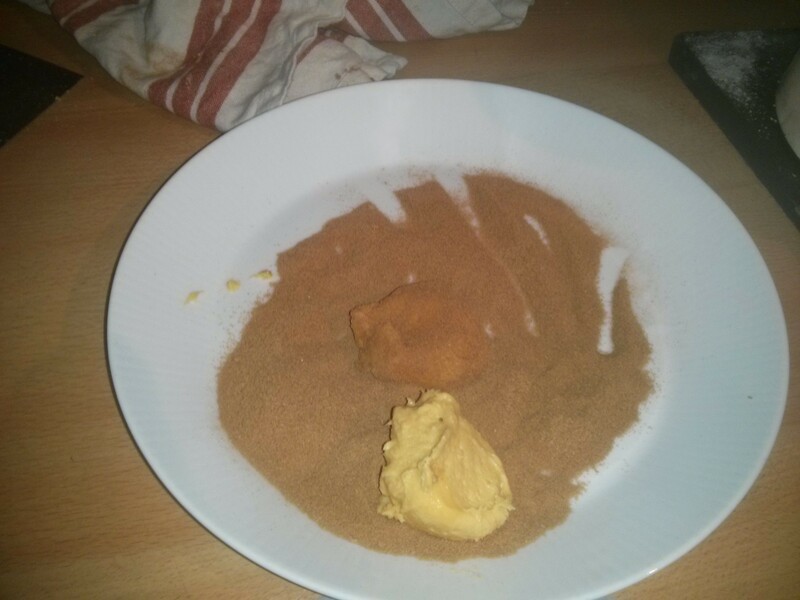 This gets spooned into balls and rolled in the cinnamon sugar. These go 9 to a tray (I’m expecting them to spread!). Into the oven at 180c fan for 10 mins and them come out like little cakes. 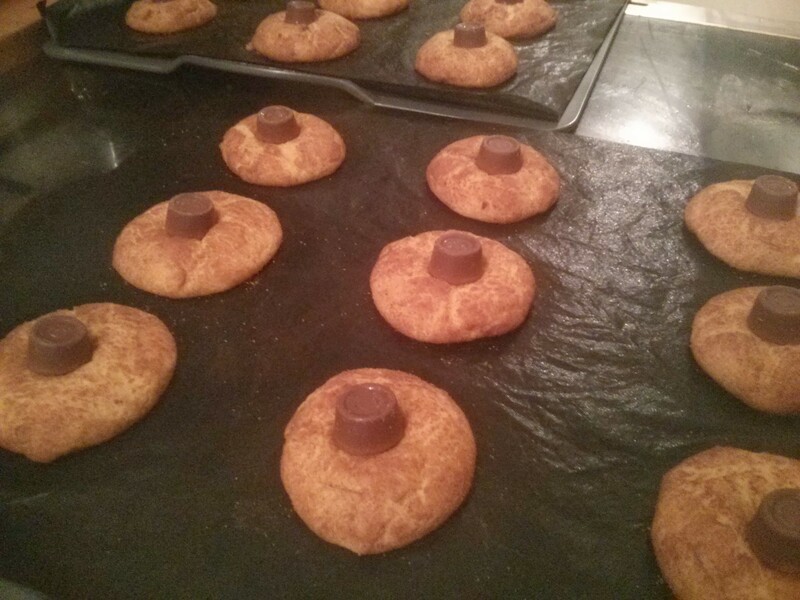 I quickly add the Rolos so their bottoms will melt and stick them to the cookies. Then the chocolate pretzels get broken up and make into legs. 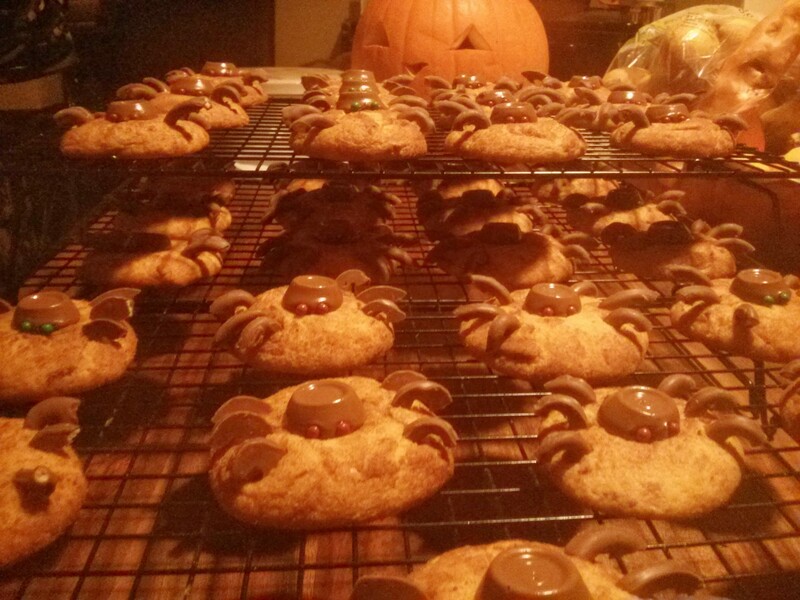 We were going to do spiders… but this turned out to be too many legs, so we dropped to 6 legs per cookies and decided they were bugs not spiders. This also meant we could drop the number of eyes down to two… which as they went on with tweezers was a relief! It was then onto cooling racks to cool. These look great. I feel guilty as I’ve only bought chocs & sweets from the shop as no trick-treaters turned up last year.